What is this? 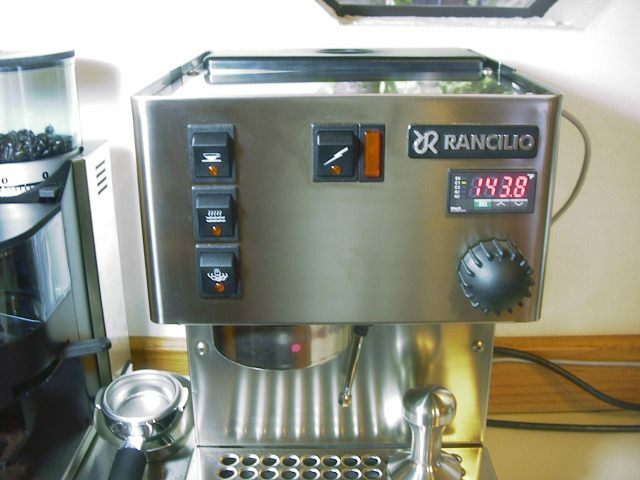 It is a Rancilio coffee grinder (Rocky) and espresso machine (Silvia). Miss Silvia has her thermostat replaced with a Proportional, Integral, Derivative (PID) controller. The PID controller (PXR3) keeps the water reservoir temperature constant so that each cup of espresso is consistent. Yum! This modification also includes a computer interface (see the plug on the right) which can control the PXR3, and read the temperature of the reservoir. 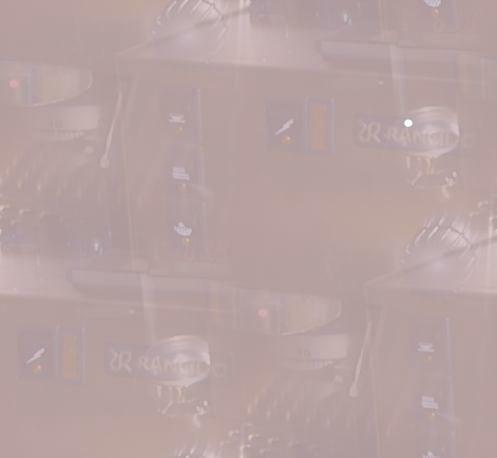 Also, the steam switch is connected to the PXR3. When the steam switch is pressed, the PXR3 brings the reservoir temperature to 300 Deg F - hot! The PID controller is a PXR3-RCY1-4VVA1 made by Fuji Electric. This model includes options for computer control (RS485), and an extra digital (switch) input. The computer interface allows reading the temperature as Miss Silvia makes coffee. The temperature data is stored, and temperature vs time charts are made of the brewing process. These charts clearly show temperature fluctuations before the PID control was added, to the much better control after the PID. The un-altered Silvia would vary between 225 Deg and 280 Deg (55 Deg Fluctuation! ), and the PID modified Silvia, after about 10 Minutes, holds the temperature within +/- 0.5 Degrees. Quite an improvement. The computer communication uses RS485. I use an IC485S converter from ATEN TECHNOLOGY to connect the computer to the PXR3 controller. The PXR3 is half duplex, and the IC485S converter requires asserting (and removing) the RS232 RTS handshake line to control the communication direction from the computer to the PXR3, or to get the response from the PXR3. The plotting package that creates the wonderful temperature vs time plots is: gnuplot.